God and I went to the thrift store last week. It’s was the first day my kids were back in school. Although I often go thrifting with the aim of stocking my kids’ closets, I breezed right through the children’s section of the giant store with barely a glance. The image of them each boarding the bus that morning in new shoes, shorts and sneakers was still fresh in my mind. 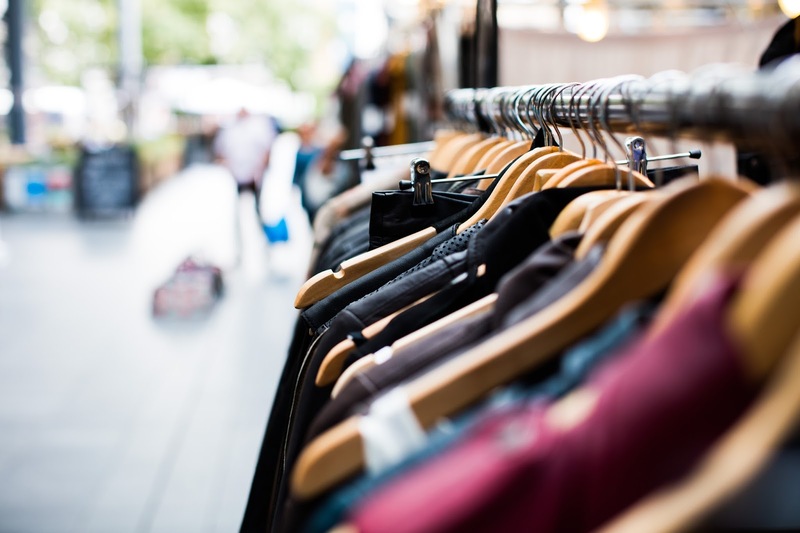 The day before, I had been struck by an unexpected wave of resentment at the wealth of new clothes they had and their apparent lack of appreciation for it. It wasn’t just the clothes I resented, though, it was the time, the sheer amount of resources, I sent their way this summer, particularly during the last grueling weeks of August. You see, this summer, I gave up. I fought hard, in the beginning, to make room for my writing and working life to continue. Hard, like, wearing ear muffs in my office while my kids mimicked the rooster by my window and practiced playing the recorder outside my office door. When working with them at home failed, I took them to a free day camp program the next town over, freeing up two precious hours, three mornings a week. But it wasn’t enough. The pressure to drop them off, drive home, and dive into writing with little to no transition proved unwieldy. By early August the impact of my evening and weekend work schedule at the library became clear. In summers past, those were times I could steal away to my office write. This summer, I traded those hours for a small but much-needed paycheck. Then came August, with two birthdays (twins! ), several days of single-parenting while my husband wrestled the engine in and out (and in and out again) of his rattle-trap pick-up truck, then several days more of single parenting while he traveled for work. All of this, right around the time the day camp ended. I gave up. I let go of even pretending to keep the semblance of a writing life together. At first it sucked and I was sad and mad and had All The Feels. But then acceptance came along like a breath of fresh air and it felt so good to not be swimming upstream, to accept that there was neither time nor energy for more. I lived in the reality of the last weeks of summer with four kids. I participated in a round-robin of back-to-school night events and organized a mounting pile of supply lists and schedules. I took them to the pool and praised every new trick they learned. I washed load after load of towels. It seemed both sad, to me, and simply, remarkably, true. In the post-bus quietude, I messaged a friend, “I’m trying to process what I lost/gave up this summer.” Then, I shut up the house, pulled on my sunglasses, and headed to the thrift store with God. Like an awkward parent and teen tackling difficult subjects on a shared commute, God and I find it easier to talk at the thrift store. Something about strolling the aisles of color-sorted clothes quiets and opens me, creating a place of listening and attention, which God and I both recognize as prayer. That’s how God and I found ourselves sifting through hangers of winter coats and blazers, discussing ‘what I lost’ this summer. It occurred to me, as I perused tan corduroy coats from the nineties and multi-colored ski jackets from the eighties, maybe I was being a bit melodramatic. I paused, with my hand on the shoulder of a pea coat and considered the possibility. I turned to God, then, for an opinion. I stifled a snort of laughter. Of course, God knows me. With acknowledgement came acceptance. I felt free to feel the loss – both real and exaggerated - and to trust that it too would pass. How could I have forgotten that simple truth? With it comes incredible freedom – freedom to hold on when the time and space are right; freedom, even, to fight for what I want. But, freedom also for letting go when time and circumstances demand it. I felt lighter as I moved on to rows of skirts and blouses. God wandered off into the aisles of handbags and shoes (God does that sometimes). We said we’d meet up in the car on the way home, we find that’s a good place for talking, too. What a profound idea: that God holds everything we lose or give up so who we are is never lost. Thanks, Kathy. Isn't it funny how the most profound things slip so easily into and out of our grasp? This is brilliant. I love everything about it. Take me with you next time you go to the thrift store. Maybe God will meet me in the furniture section. I spent 12 years dramatically failing as an elementary school teacher, sticking it out because I believed God called me to teach. I discovered when year 12 began that I was wrong. I wasn't on a mission from God - I was a teacher because everyone expected it of me. Everyone - for a long time. But as I walked out the door that last day, I wasn't defeated or discouraged. Thankfully, my loving husband had told me time and time again that, no matter what, every single year - EVERY one - there was that special one. That student whose life was better, even for a moment, because I was his teacher, because I believed in her. I wasn't a great teacher - not nearly the teacher I thought I'd be. But God didn't let those hard years go to waste. It’s true... "There [was] no part of who [I am] that ever has been or ever can be lost.” Thank you, Jesus. Thank you, Kelly. Thank you for sharing this, Kelly. For my part, there are things I've given up that I don't want God to hold on to. Upon further thought, I believe those things are changed/redeemed when they enter His hands. I hope you're finding more time to write now that school has begun. Blessings on your week! Oh my word....thrift store shopping as therapy--I totally get that. (I got to work on my writing this summer, aka book draft. When I thought I'd go crazy, I went to Goodwill. I now have a small carryon full of notebooks, pens and paper. I'm a sucker for the stationery goods. But it was good therapy...and God always speaks loudest when my hands are working with moving stuff around. Your revelation,"“All the things you give up, I hold,” God said. “There is no part of who you are that ever has been or ever can be lost,”" jumped off the page. Sighing an 'amen' with you. Really an interesting article to read. Actually, Thrift shopping is a time-consuming process. Since everything is pretty much thrown together on one clothing rack you really have to just flip through each individual clothing piece to find something.